The Storm Prediction Center has been hinting for the past several days that parts of the mid-south are at risk for severe thunderstorms on Thursday. Let’s take at some of the components. 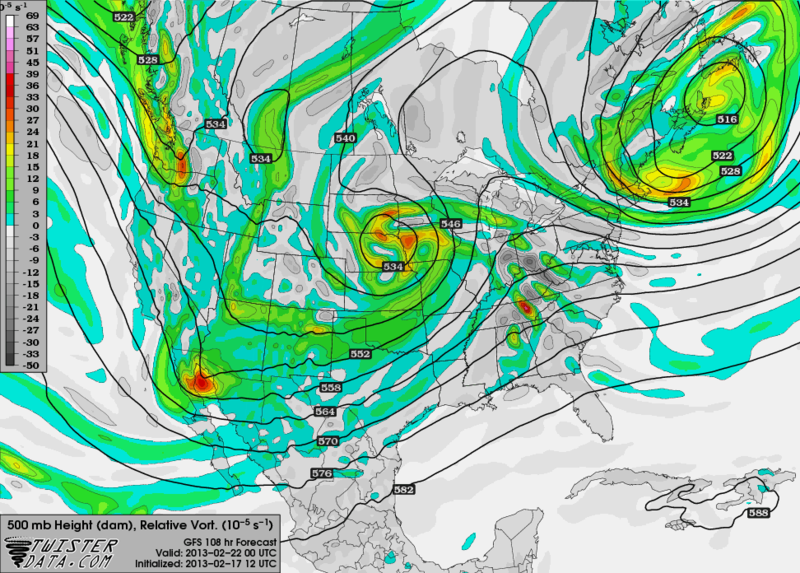 #1: Vorticity: Note the Vorticity in the central plains. Note the backwards tilt to it. This is known as a negative tilted trough. This represents the chance for severe storms to the south and east of the Vort Max in this instance. This would include parts of Alabama, Arkansas, Louisiana and Mississippi. This is one component. #2: Wind: These are the wind speeds and direction generally above ground level. 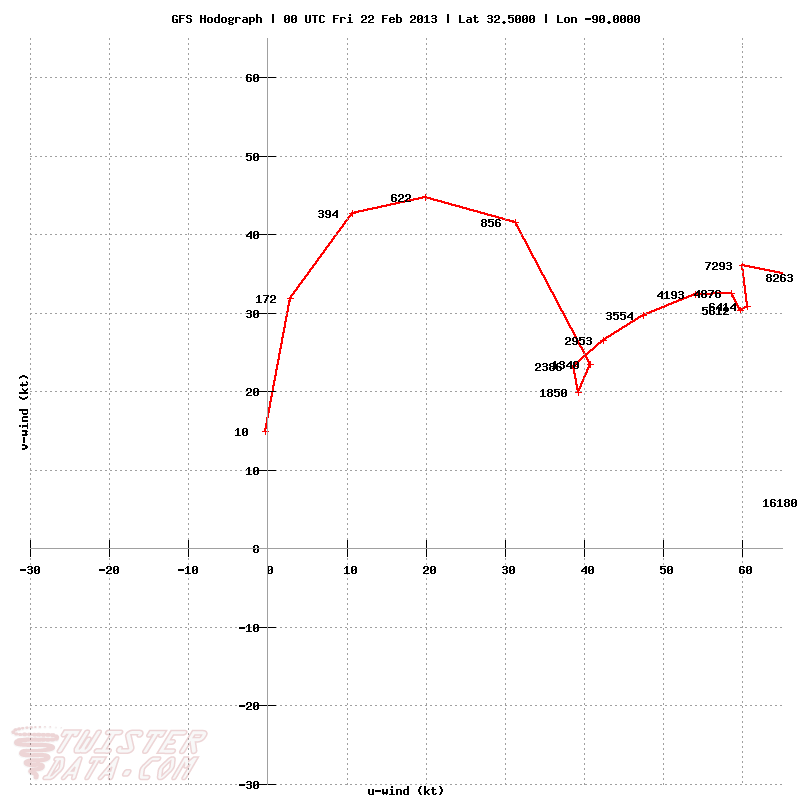 Note the 850mb winds (closest to the surface, above 5,000 feet) that are peaking at nearly 80 knots in West Alabama. Take note the wind speed and direction as well on the 500mb winds (about 18,000 feet). 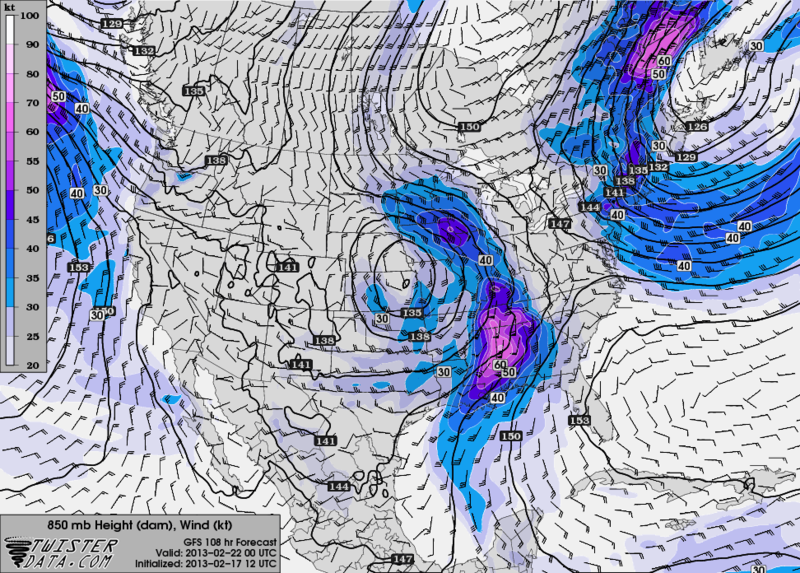 On this 500mb wind map, you are getting winds at 60-70 knots, but at a dramatically difference direction. The 850 mb winds are from the south. 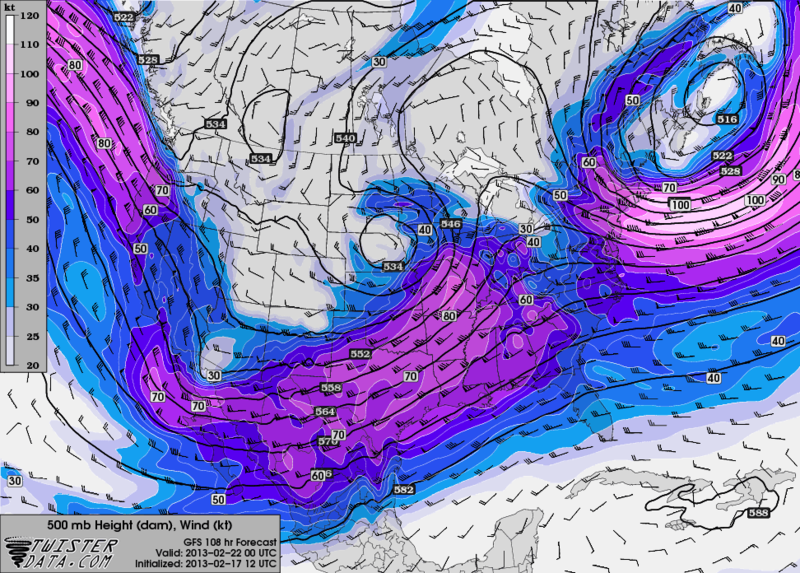 The 500 mb winds are from the west. As a result, it is very easy to see that the wind is changing with wind direction and height. #3: Speed Shear: The surface to 925 mb shear (roughly 2,500 feet above ground level) on the 12z GFS here is showing shear at this level around 45-50 knots. 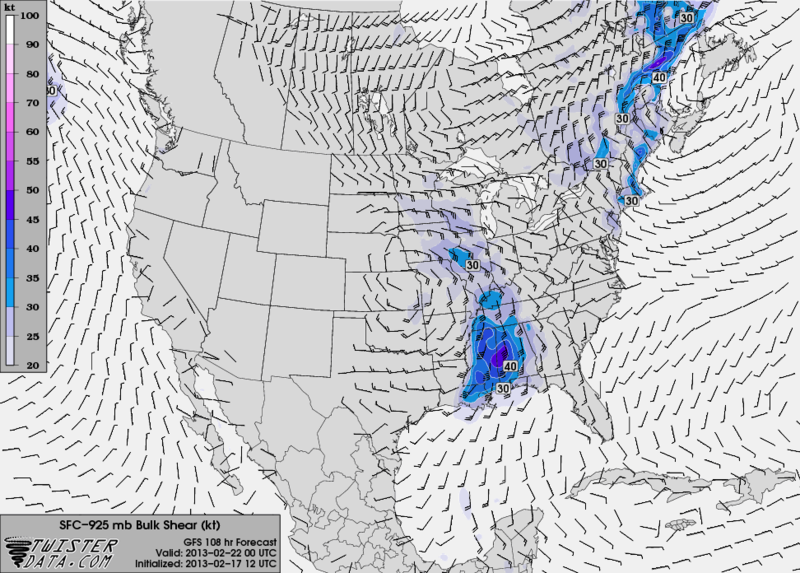 This is more than supportive for supercell storms that could spawn tornadoes. #4: Hodograph: This is the 12z GFS hodograph valid at 6pm cst Thursday evening very close to Jackson, Mississippi. Note how the hodograph is in circular fashion. This depicts the best potential for supercell thunderstorms with an attendant tornado threat. Posted on February 17, 2013, in Weather Recap, Weather Update and tagged Weather Recap, Weather Update. Bookmark the permalink. Leave a comment.